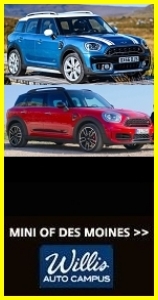 We’re looking forward to seeing lots of MINIs again at the annual Heartland British Autofest Days to be held in the Quad Cities area on the weekend of 6-7 August. This event is sponsored and expertly organized by the Quad Cities British Auto Club and consists of a leisurely Saturday afternoon car cruise with a bunch of other cool British cars followed by dinner at The Factory Restaurant and Lounge in Orion, IL. The primary event is on Sunday and consists of an awesome car show along the main street in the Village of East Davenport. The event organizers prefer that everyone register by mail in advance so they can plan for the dinner, etc. You can also save $5 if you register prior to Aug 1st. The registration form is available using the link to the QCBAC website, which you can find along with a summary of the weekend schedule by clicking on the — Read More — button below. 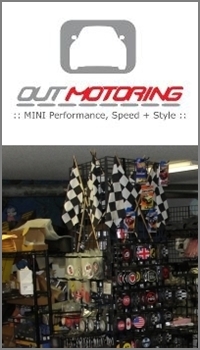 Both days of the Autofest are great fun and a neat opportunity to show off your MINI. EIM is aiming for 1st Place in Class L for the third year in a row. Mike C. took top honors in 2009 while Denny and Sandy B. grabbed the top spot in 2010. Hope you can join us! 2:00 pm – Assemble in the RIA Federal Credit Union parking lot, 110 East 10th Ave, Milan, IL. 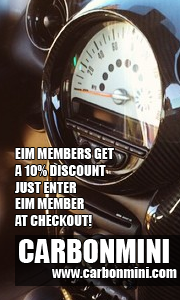 Sign-ups on the EIM Calendar will assist in planning for refreshments at the show. Thanks!